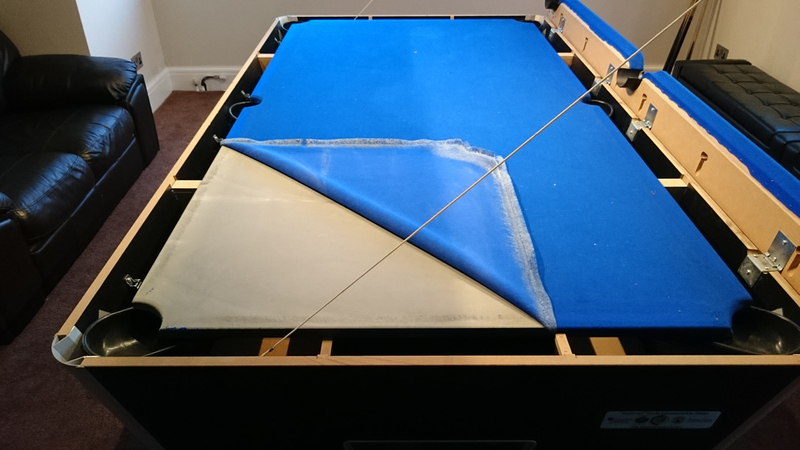 One of our customers has undertaken, with our assistance, to repair and recover his pool table. He has kindly agreed to provide a photographic record of the project… and here it is! To see more of the recovering project go to IQ Pool Table Recovering Project Part 2. Find out more about our recovering services at our sister site IQ Pool Table Recovers.